The Department of Higher Education of Odisha (DHE) released Odisha +2 Second Merit List 2018 for admission in +2 Colleges Odisha on 10the July 2018 at 11 am. 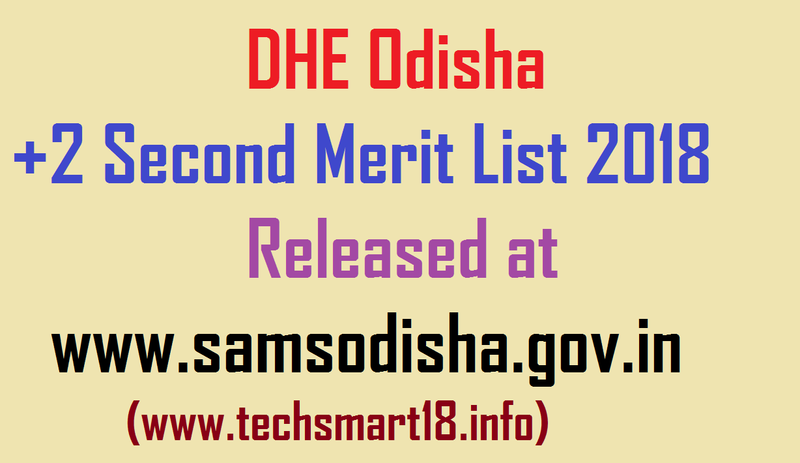 The Second Selection Merit List +2 e-Admission 2018 Odisha is available on its official website www.samsodisha.gov.in. Friends, the First Merit List has been already released for joining in +2 Government or Private Colleges in Odisha on 29th June 2018 at 11 am according The Times Of India. The candidates who are getting seats they are already joined in their respective selected colleges. Now the time for Second Selection who are not getting a seat in first selection Merit List +2 e-admission 2018 Odisha process, they are waiting for Second Selection Merit List 2018 Odisha. 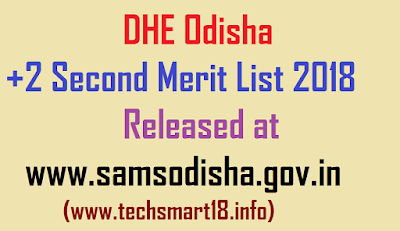 Today is last day, waiting is over and the Odisha +2 Second Merit List 2018 Released at www.samsodisha.gov.in official website. The Candidates are now can check their status and download their Intimation Letter from Official website. You can download you Intimation Letter from its official website and check you’re application status. The candidates are can know that the cutoff marks of +2 Colleges of Odisha and in which +2 college of Odisha they are selected for joining. 1. First, you type of Google Search www.samsodisha.gov.in and enter. 2. The official web page will open, here you find “Higher Secondary School/Junior” and enter. 3. In the next Page find “Students Login” and enter. 4. Then in the next Student’s Login page, you should enter your registered Mobile Number and Password which you created at the time of application. If you forget the password you can reset your password by click on “forget Password” option below in this page. 5. After entering your Mobile Number and Password and click on “Sign in”. 6. In next page is your Dashboard, here you find “Intimation Letter” option and click. 7. Finally, you will get the link of “Intimation Letter “after click on it you can download your Intimation letter. After successfully download you Intimation Letter you can save or print it. I recommended that you should print your Intimation Letter because at the time of joining it will be required. In Intimation letter, you will find all details like Date of Joining, Venue, selected college name etc.,. In this way, you can easily check your DHE Odisha +2 Second Merit List 2018 and download your intimation letter.